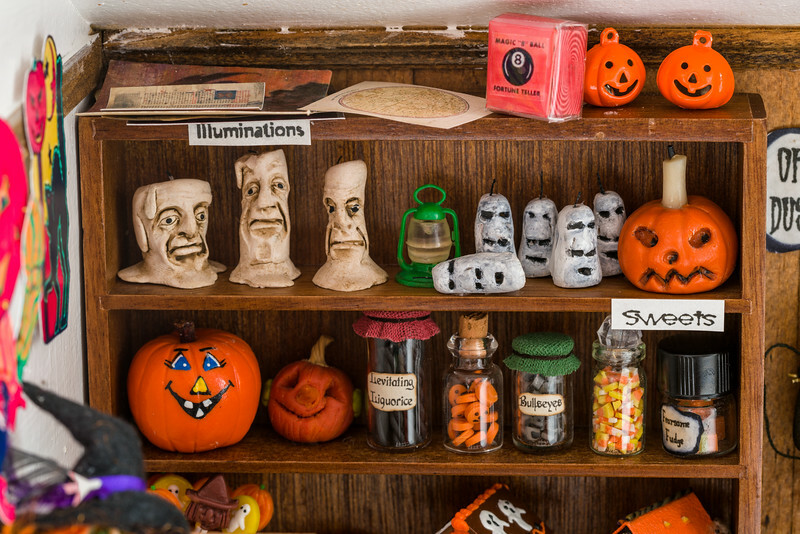 Set as it is in the danker parts of Icksworth Hollow, the Ghastly Crumb Emporium brings a certain excitement to the witches who live in its environs. Proprietress Estrilda Gridley stocks her shelves with the most unpredictable items and as such, it's never the same store twice. Witches can't help themselves but stop in for a look-see! That said, party supplies are her biggest draw. Witches are inveterate party-goers and their shindigs begin in the wee hours and they don't shutter up until the winking light of dawn. Biddy Gridley makes sure there is a ready supply of party invitations, paper cups and plates, party games and favors and, of course, decorations. Witches don't do things in half measure!